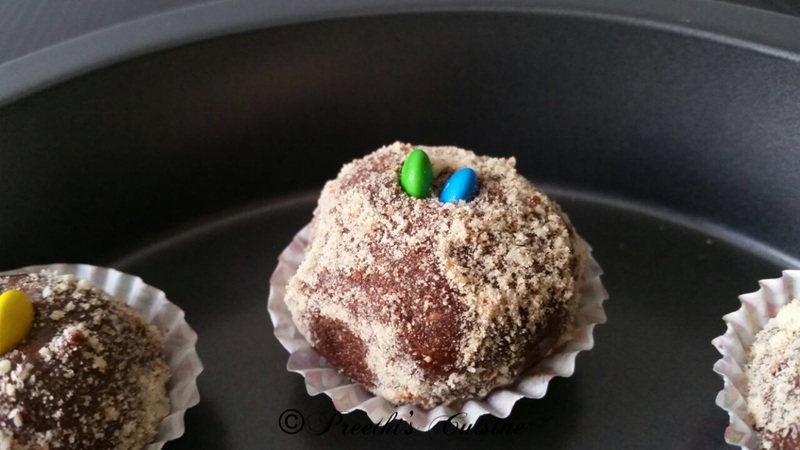 Instant sweet cravings or sudden guests at home ?? No problem. This recipe hardly takes 10 minutes. No oven and no microwave needed. Healthy and Yummy too. Great way to incorporate dry fruits into your child’s diet My family loved it. 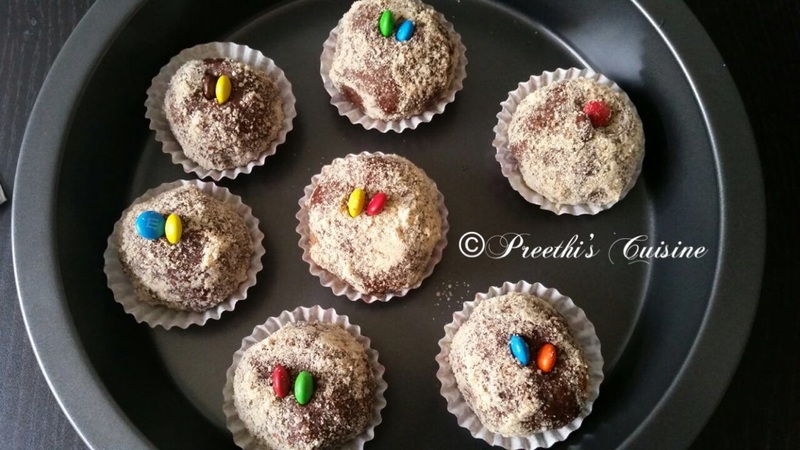 Recipe for Marie Biscuits Choco Balls. Powder Almonds, Marie biscuits and Sugar separately. Take a bowl mix all the above ingredients (use 3/4 of almond powder as you need some later) mentioned above except milk and condensed milk. Add milk and condensed milk to the dry mixture and make a soft dough. Grease your hands and shape it as desired and roll it in the almond powder. Refrigerate for 40 to 60 minutes. Garnish with m&m chocolates and serve. Stays fresh in the fridge for 2 to 4 days. You just can’t stop at one. Thank you. I am glad you liked it. You can follow my blog for more recipes. 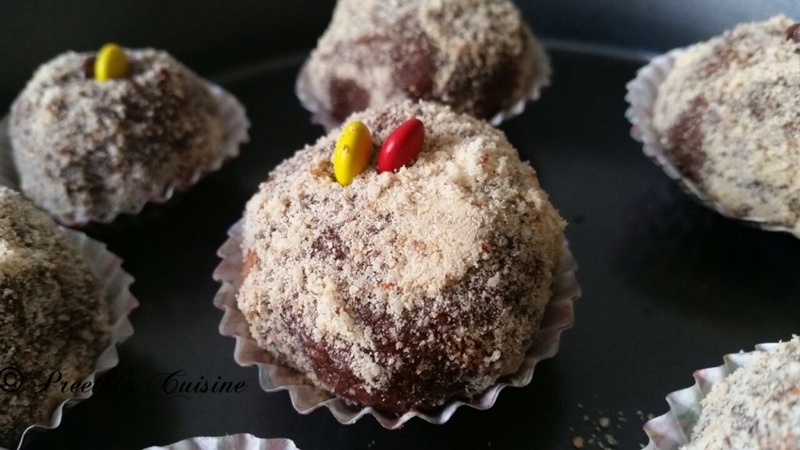 love easy recipes like the choco balls. Look really delicious.